Piolo Pascual Takes Us to a Gastronomical Trip to Japan in "The Crawl"
Piolo Pascual is best known for his acting and singing chops, but this year he will take on the role of a foodie and explore the flavors of Japan in "The Crawl," Lifestyle's special food and travel show premiering on September 3 and 10. In "The Crawl," Piolo together with his crawl buddy Lui Villaruz, and a Japanese interpreter embark on a food crawl challenge where they visit the favorite dining spots of locals to score the best okonomiyaki and ramen in Osaka, Japan, a city known for its vibrant street food scene. 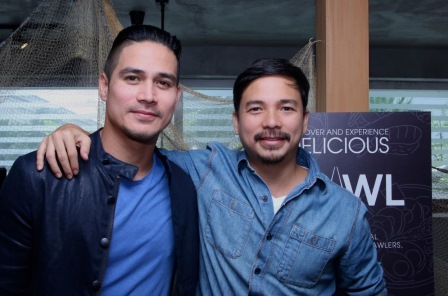 Piolo and Lui also try out Japan's signature dishes like Yakisoba, Gyoza, Takoyaki, and Tepanyaki. As a food and travel show, Lifestyle's "The Crawl" aims to showcase the culture of a particular place through a culinary expedition by hitting the streets to restaurant-hop to uncover the best places to sample the rich cuisine of a city. The show, through its hosts, also provides tips on how to maximize one’s food and travel experience. Viewers are also treated to breathtaking sights in Osaka like the Universal City Walk Osaka, the Kuromon Market, and the Takoyaki Museum, among others in between crawl spots. "The Crawl" is a Lifestyle original food and travel show adding to the list of successful shows the channel has produced like "Metabeats,” "Curiosity Got The Chef," "Food Prints," and "Listed." Lifestyle is one of the channels of Creative Programs, Inc., a subsidiary of ABS-CBN that aims to give Filipinos a complete lifestyle experience while gaining meaningful insights.